They had been cutting and cutting for weeks and weeks. And they had sent many logs down the river, but they weren’t getting paid because the logs were never arriving at the saw mill. 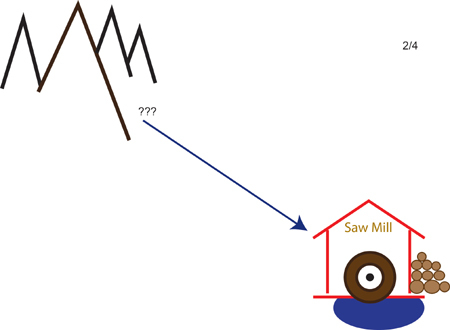 They did not understand this because they thought the river flowed straight to the saw mill.